state show President Donald Trump's legal jeopardy isn't over yet. probes into Trump, his associates and business dealings will proceed despite the conclusion of special counsel Robert Mueller's two-year investigation without new indictments. 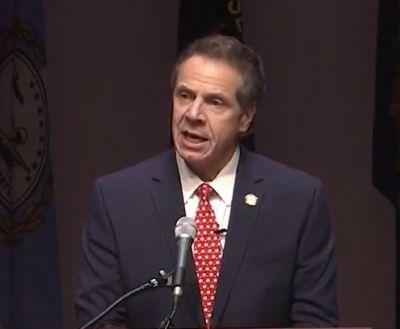 Cuomo said that Democrats cannot rely on investigations or impeachment to topple Trump and that opposition to the president alone won't win them votes. Instead, he said, Democrats must convince Americans that they're a better choice for the country. Cuomo had been considered a potential presidential contender but has said he has no plans to run. He has praised former Vice President Joe Biden's strength as a potential candidate, although Biden has yet to announce he's running.